Essilor Vision Foundation India has contributed to two awareness campaigns to educate members of the public on the importance of regular eye check-ups, vision correction and UV eye care. Together with industry partners and local eye care organisations, a total of 50,000 sunglasses were distributed in Calcutta and 1,000 call to action banners were displayed across India. 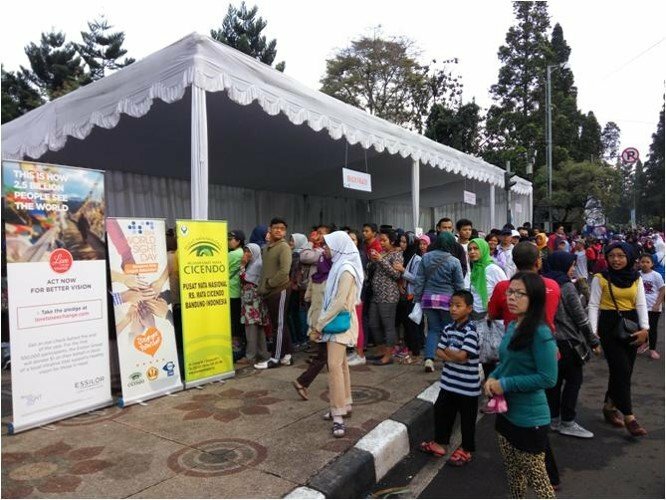 Raising awareness about poor vision and its impact on people’s everyday life is one of the key objectives of the Essilor Vision Foundation (EVF). We recently reported about the EVF awareness campaign targeting Delhi’s taxi drivers to increase road safety through vision correction. But EVF India is not stopping there and has contributed to two other awareness campaigns over the past few months to drive home the message of the importance of vision care. 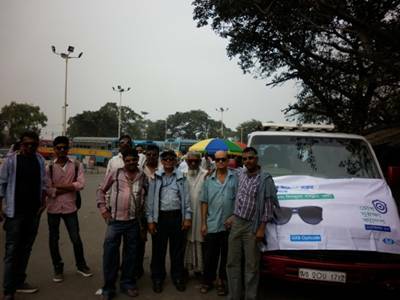 The first initiative, launched in December in Calcutta, saw Essilor Vision Foundation join hands for 3 months with volunteers from Group partners Vision Rx and GKB Opticals. Over 50,000 UV protection sunglasses were distributed to underprivileged people, many of whom are exposed to the sun several hours each day due to their profession. The objective of the campaign was not only to provide people with sunglasses but also to educate them on the importance of UV eye protection. I am delighted I received glasses with UV protection, I actually never thought about protecting my eyes from the sun. Lack of awareness of the negative impact of UV light is a big problem among the Indian population. The people we targeted with our campaign often thought that sunglasses would be for fashion but not for protection. 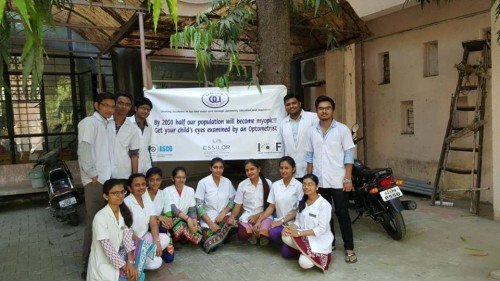 In addition, Essilor Vision Foundation India supported another awareness drive that was coordinated by the Optometry Council of India (OCI) in partnership with the Association of Schools and Colleges of Optometry (ASCO) and the Indian Optometry Federation ( IOF). The campaign’s objective was to raise awareness about common eye health issues and the need for regular eye check-ups in particular for children. Across India, the organizations arranged the display of 1,000 banners with various eye health messages, many of them targeting parents and inviting them to regularly test their children’s vision. 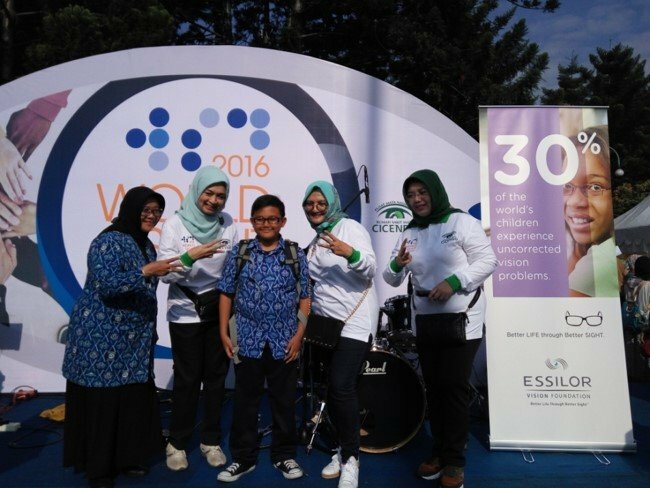 Raising awareness on the importance of healthy vision in developing countries is one of Essilor’s objectives. Many such countries suffer from a drastic shortage of qualified eye care professionals, in particular in rural areas. In India there is just one optometrist for every 25,000 people and the nearest optician is often over 30km away. However, 550 million people have uncorrected poor vision which negatively impacts their lives. This disability, the largest in the world, also has an economic impact. According to studies it costs the country an estimate of $37 billion in lost productivity each year. 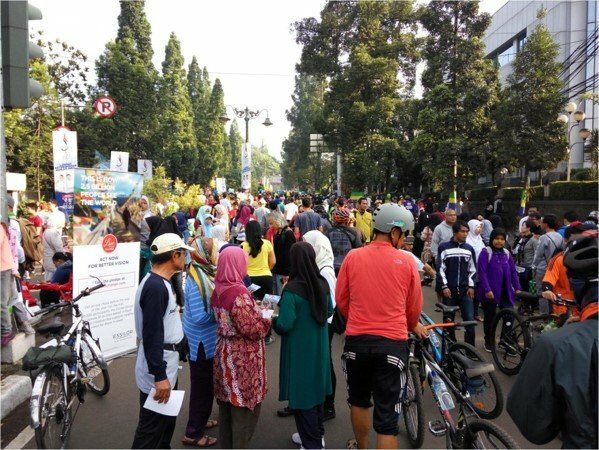 Spreading the message on the positive effects of good vision therefore also contributes to improving the overall health of a nation and its productivity. In addition to the work carried out by its foundation, Essilor is scaling up inclusive business models to help improve access to vision care for Indians in under-served areas. The Eye Mitra and the Vision Ambassador programs are providing an increasing number of people in rural and semi-rural communities with the locally affordable eye care they need, while creating jobs and empowering local individuals to become part of the long-term solution for vision care.